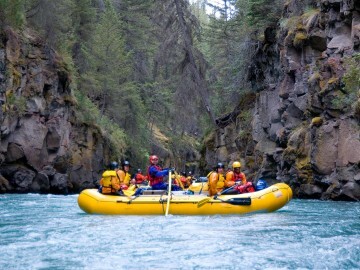 Named the best river trip of 2014 by Outside Magazine, the Chilko River stands out as a top choice this year, as well. 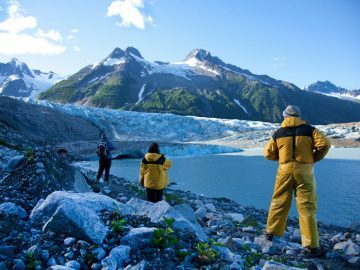 While the Chilcotin and Coast Ranges received near normal snowpack this winter, the Chilko is primarily glacial fed, which means hot summer temps will bring normal rafting conditions on this river. And in case you didn’t already know, normal on the Chilko is always epic. 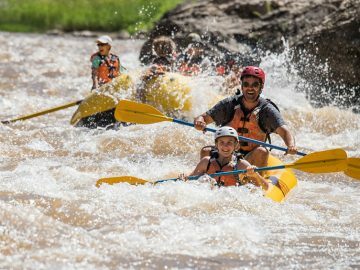 Those looking for big whitewater thrills can expect peak water levels at the end of July and into August. 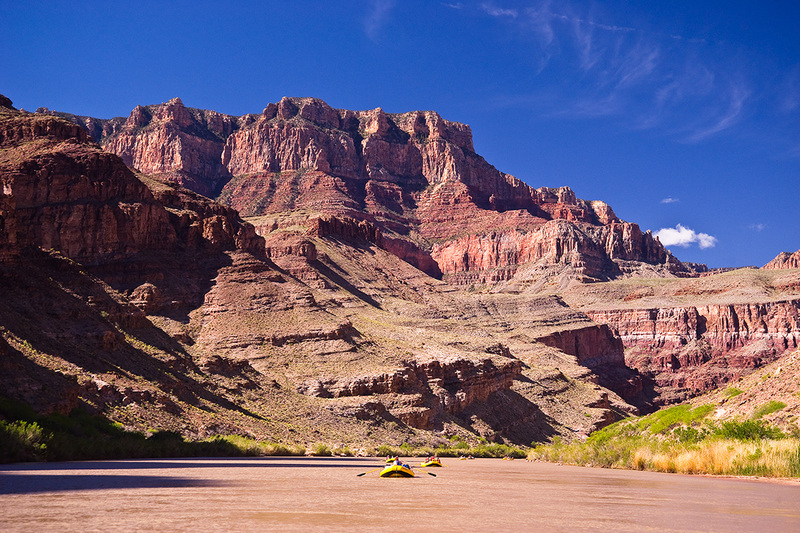 Cataract Canyon rafters won’t see notorious high water levels in 2015 on this free-flowing stretch of the Colorado River, but an 80 percent snowpack will allow for some great Class III-IV rafting in May and June. “I have spent 13 seasons in Cataract and the levels of 20-30,000 cfs are some of my favorite times to be boating,” says Steve Kenney, Moab Area Manager for OARS. “The large features in our biggest rapids make for great hits, but don’t create the high anxiety of Class V conditions.” Even with a below average snowpack the Colorado River through Cataract Canyon is expected to run through October this year. 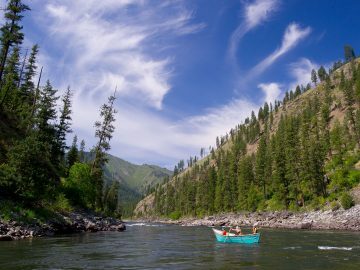 Idaho isn’t seeing severe drought conditions like other regions in the West, which makes boating on the scenic Main Salmon River a solid choice this year. 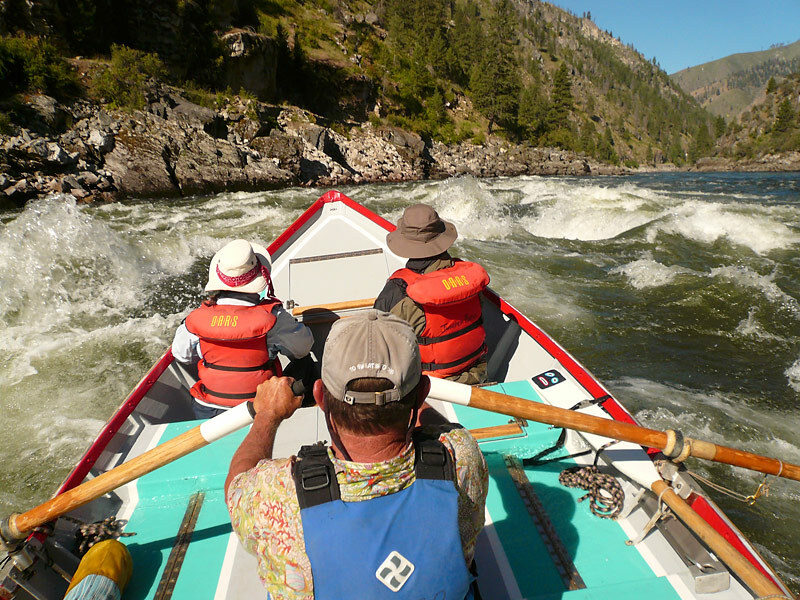 “Peak flows won’t be super high, but will be much more friendly to paddlers and less intimidating for families,” according to OARS’ Idaho Manager Curt Chang. “Spring rains and cool temps are expected to bring good flows until August.” Curt also mentions that the Snake River through Hells Canyon in Idaho is another good option this season because of relatively good snowpack and predictable dam release flows throughout the season. The table has been set for a strong season on the Arkansas River, according to Andy Neinas, Owner of Echo Canyon River Expeditions. 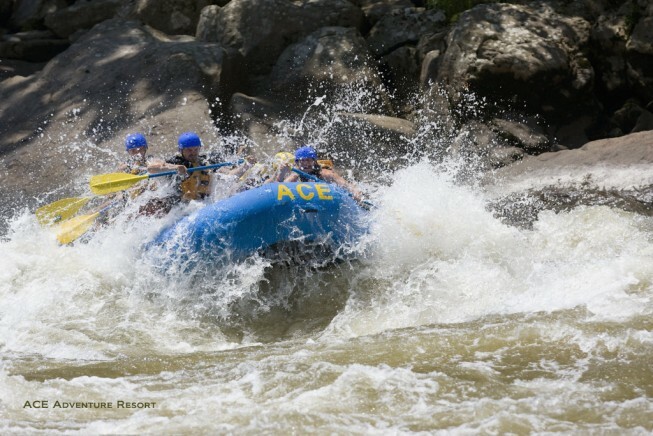 “Our snowpack is right around 100 percent where it matters in the Upper Ark and reservoir capacities are really strong this year, as well.” So whether you’re looking for a big Class IV-V whitewater experience, or a family-friendly Class III rafting trip with big waves, big holes and big fun, the Arkansas has a healthy whitewater season ahead. Micah Salazar, operations manager at Noah’s Ark, also points out that Browns Canyon recently was designated a National Monument. So if you’ve only got a day, that stretch of the Arkansas River is worth doing. 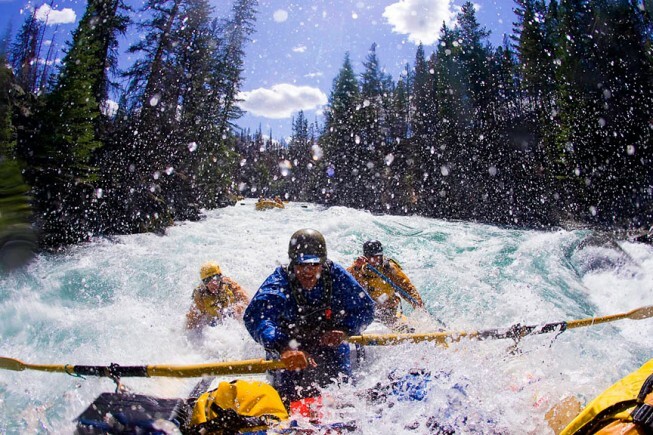 It’s no surprise that East Coast river outfitters are looking forward to a banner whitewater year. But it’s not necessarily the snowpack that determines good flows on Eastern U.S. rivers. 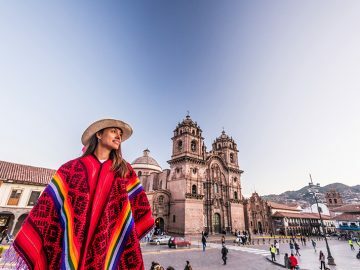 “Even on a record snow year like this one, the actual snow has long melted by the time most paddlers hit the water,” says ACE Adventure’s Chief of Staff, Dave Bassage. “But that doesn’t mean the water is gone…slow steady melts like the East has experienced raise water tables so that ‘normal’ river levels raise as well.” This year, with the extra water, Bassage expects rafting excitement on the New River to be kicked up a notch with higher spring flows, and better-than-average June whitewater that will likely carry all the way through the summer. An easy drive from much of the East Coast’s big city hubs, Maine’s incredibly scenic Penobscot River boasts reliable and exhilarating Class IV-IV+ flows all season. 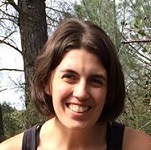 Julie Thorner, Northern Outdoors’ marketing partner, points out that spring rains can add to the river volume in early May, while dam releases guarantee great water levels consistently from May to mid-October. But this year, she says cold temps and a slow steady thaw means that the reservoirs are filling nicely without a lot of wasted runoff. Want to know more about how California’s lowest snowpack ever is going to impact rafting across the state? Look for our California Rafting Forecast later in April.